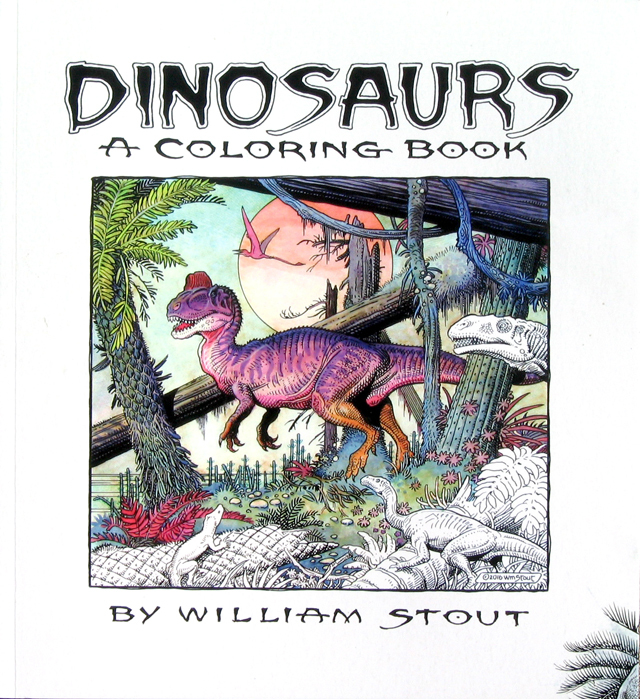 William Stout’s DINOSAURS – A Coloring Book! IT’S ARRIVED! DINOSAURS – A Coloring Book is a beautiful black & white coloring book packed with 81 detailed images created by master paleoartist William Stout! This gorgeous 96 page trade paperback is published with meticulous care by Insight Editions. This book, generously priced at only $16, is available on this site’s Store/William Stout Bazaar. Bill signs each copy purchased from this site.